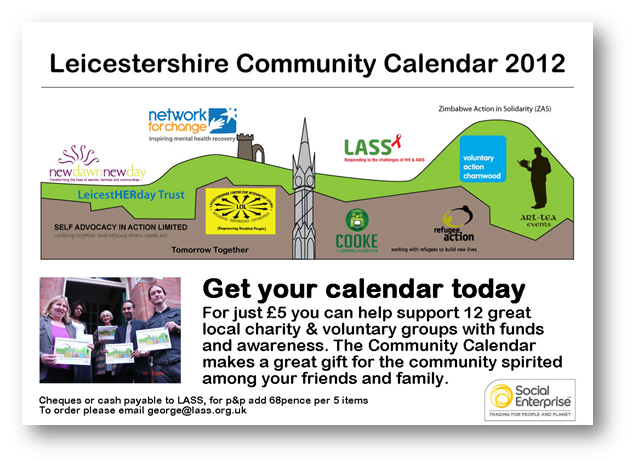 After Canon Gideon Byamugisha visited Leicester in March 2011 we decided to invite him again – to inform and inspire us and the people and communities we work with. We had hoped that he would be able to visit in November 2011. However he is waiting for his visa so we cannot arrange a date until that is granted. In the meantime we do have copies of a DVD featuring Canon Gideon that you can borrow. We can also advise where you can buy the DVD. We are looking forward to his visit and hope that you will be able to join us whenever that is. Over the festive period, LASS are closing due to Christmas and Bank Holidays. In addition, some of our staff and volunteers are taking holiday or time out. We are open for HIV Testing until 11am on Friday 23rd December. We will be offering Rapid HIV testing on Wednesday and Thursday 28th & 29th December during opening hours of 9.30 to 4.30. We are open from 28th to 30th December from 9.30 to 4.30 pm for anyone who wants to use the services. We will be open again from 3rd January at 9am. We are closed from Saturday 24th to Tuesday 27th December and re-open on 28th December at 9.30 am. We will be closed over the New Year from 3pm on 30th December until Monday 2nd January 2012. We will re-open on Tuesday 3rd January at 9am. The following post is sent on behalf of Scope and The National AIDS Trust who are supporting this campaign because they are concerned about the impact proposed legal aid cuts in the area of benefits could have on people living with HIV. For more information please contact Jamie Robertson, Scope Campaigns Officer. We’re asking for your urgent help to keep legal advice available to all. 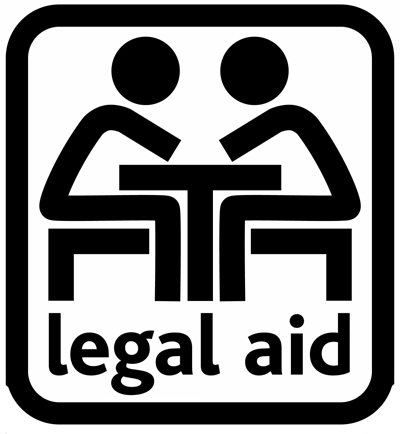 Legal aid is a vital lifeline, it helps people who can’t afford the cost of getting legal advice. Last year, thousands of disabled people and people on low incomes were helped by legal aid advisers to overturn inaccurate benefits decisions that had left them struggling without the means to live. The Government is trying to take it away Yet the Government is trying to close the door of justice by taking away this vital lifeline for all welfare benefits cases. If legal aid advice is removed, people with the highest level of need will be left to navigate their way through a system that requires nearly 9,000 pages of official guidance. At a time of massive change in the welfare system, this means many people won’t get the support they rely on to lead their daily lives. Persuade Peers that they should throw out this plan From 20 December 2011, the House of Lords will begin the next stage of the Legal Aid, Sentencing and Punishment of Offenders Bill debate, which contains this shocking proposal. If you believe that the right to justice should be available to everyone, please show your support by taking your seat in our virtual House of Lords now. If we can demonstrate that there is widespread public support by filling our virtual House of Lords, we stand a good chance of persuading the real House of Lords to call a halt to these plans when they debate them in the New Year. Take your seat in our virtual House of Lords and help maintain access to legal advice for tens of thousands of disabled people and others who rely on this vital lifeline. As you know, last Thursday, 1st December was World AIDS Day. The following is a message from Rev Canon Dr Gideon B Byamugisha, Goodwill Ambassador on HIV & AIDS, Christian Aid Convener, Global Working Group on Faith, SSDDIM & HIV explaining the SAVE message and encouraging others to join the SAVE Campaign.